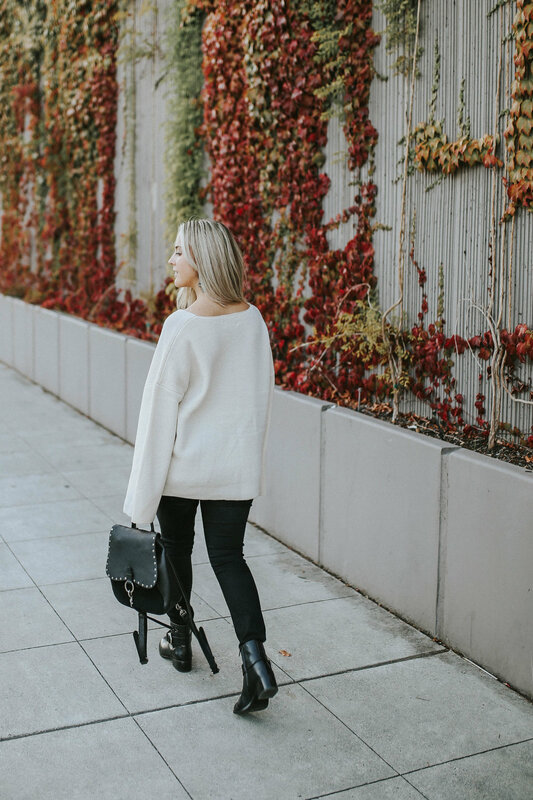 It's definitely sweater weather here in Seattle, and I am taking full advantage! I love cozying up and heading out for a cup of coffee or a mid-day treat. Have any of you ever had the baked good from Dahlia Bakery? I live dangerously close and am a regular (oops!). Did I mention i'm going to Hawaii in a few weeks and have to wear a bikini? Back to sweaters! This sweater is from my favorite online boutique, Maude, and I love it. It's the perfect oversized fit and incredibly soft. My number one tip for wearing oversized sweaters is to balance it with something tighter on the bottom. Wear a pair of skinny jeans like I did here, or even pair it over a tight fitting skirt or dress. It's really all about proportions!